Pakistan has foreign exchange reserves for less than two months of imports. It immediately requires $12 billion as a bailout to clear pending dues. The IMF has recommended stronger measures to be adopted by Pakistan to restore its financial status. Pakistan announced its willingness to adopt these measures, indicating its possible intention of seeking an IMF bailout. The China-Pakistan Economic Corridor, which was being projected as the saviour of the country is slowly emerging as a debt trap. 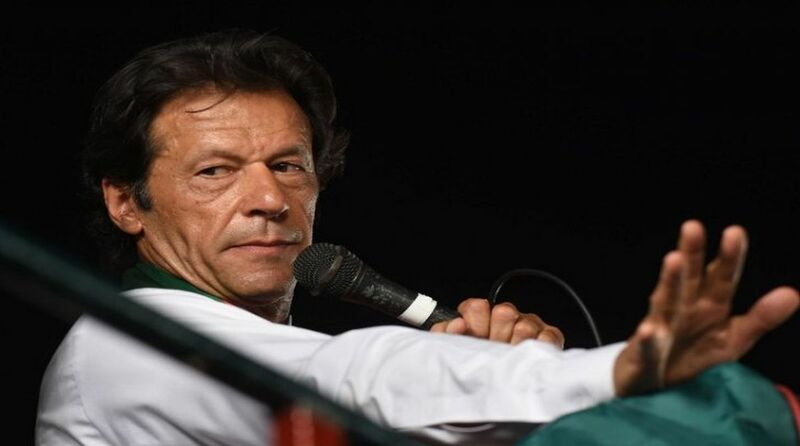 PM Imran Khan made his first set of visits to Saudi Arabia and UAE desperately seeking a bailout package. While he rushed there, the army chief was in Beijing, conveying that Imran’s visit to the Middle East was not aimed at disrespecting China but to seek investments. Historically the first visit of any Pakistan head of government has been to China. General Bajwa’s visit only focused on the continuation of the CPEC and its importance to Pakistan. Thus, it does appear that Pakistan is now feeling the pinch of its deep involvement in the CPEC. As loans increase, with no other source of revenue Pakistan has realised that investments by China are no gift. Soon after Imran’s visit, delegations from Kuwait and Saudi Arabia arrived in Pakistan. It was initially announced that Saudi Arabia may join the CPEC, depending on the approval of China. Subsequently, it was announced that they would not be a part of the CPEC. The reason stated was that the CPEC was a Pakistan-China agreement. This logic does appear warped as China had for long been requesting India to join. Now when a nation is willing, its offer is being rejected. This raises the question of whether China has any ulterior intentions in keeping it bilateral. The Saudis are seeking to invest in the oil and energy sector. Reports state that Riyadh was expected to be offered land for setting up a 500,000 barrel per day refinery worth $9 billion, besides an oil storage facility in Gwadar. They are expected to sign a few agreements in the latter part of this month when a delegation revisits Pakistan. Saudi Arabia had helped Pakistan in July this year when it announced $1 billion assistance. This was done days after the Islamic Development Bank activated its three-year $4.5 billion oil financing facility for Pakistan which would provide stability to the rupee-dollar exchange rate. There were no reports of the Kuwaiti delegation signing any deal. The visit was overshadowed by the incident of a Pakistani civil servant stealing the wallet of a member of the delegation. Their possible investment may follow. Simultaneous were reports that the Pakistani government has begun reviewing the terms and conditions of various projects under the CPEC. China, continuing its stranglehold has only agreed to review those projects which are yet to commence. The Pakistan railway minister, Sheikh Rasheed Ahmed, stated that the share of the CPEC in the railways has been reduced by $2 billion. This again appears to be a vague statement as the planning minister, who coordinates the CPEC, had no comments on it. Pakistan is aware that going to the IMF could be its last resort as there would be multiple conditions and pressures, mainly from the US, which it may not be able to fulfil. Further, it would have to lay bare all details of CPEC funding, which could open doors to internal pressures also. China may not be willing to fund the entire amount that Pakistan needs. It is therefore banking on Saudi Arabia, a nation with whom relations have been wavering over the years. Relations reached their nadir when Nawaz Sharif refused to agree to involve troops in the Saudi-supported war in Yemen. Nawaz’s request for financial assistance of $5 billion was also rejected by Riyadh. Pakistan was seeking to balance relations and avoid coming into the tangle between Saudi Arabia and Iran. While government-to-government relations may not be ideal, the army’s relations with the country are far deeper. Saudi Arabia is propped up by the US, as recent remarks by Trump and Riyadh assuring him on making up Iran’s oil supplies indicated, hence would always push the US agenda, despite being close to Rawalpindi. Early this year, General Bajwa announced the deployment of a further 1,000 soldiers to the kingdom in addition to the 1,300 already deployed. His decision was questioned in the national assembly but as in Pakistan, nothing could be done to overturn the chief’s decision. The rekindling of ties was again the handiwork of General Bajwa, who had visited the Kingdom in late August. The fact that the Pakistani ex-army chief is heading the coalition created by Riyadh only enhances its proximity to Rawalpindi. This re-kindling led to Imran rushing to Riyadh. Imran is aware that Riyadh may not provide the entire $12 billion which Pakistan needs. However, by undertaking a few projects, it could pump some funds into Pakistani banks, helping it tide over the immediate crisis. The present visit and the possible signing of agreements this month does offer the idea that Saudi Arabia may be willing to assist Pakistan. No nation, despite all the bonhomie, would be willing to provide financial assistance with low returns without seeking concessions. There would be demands on Pakistan from Riyadh. The demands could be to bring the Taliban to the negotiating table, reduce support to terrorist groups, recalibrate its relations with Iran and maybe even participate in Yemen by contributing troops. Pakistan’s financial woes and its desperation to seek immediate financial assistance has added more dimensions than it may be expecting. As Zahid Hussain stated in an article in Dawn, ‘It is a good idea to include the Kingdom in CPEC projects and to invite investments in other fields. Pakistan needs their funds but not their battles’. However, he may have missed Riyadh clearly stating US demands as non-negotiable. How long will Pakistan be able to avoid Riyadh pressures and still desire its funds remains to be seen.